She was very patient and didn't mind it at all. Patient horse + good artist = great work! Love it. 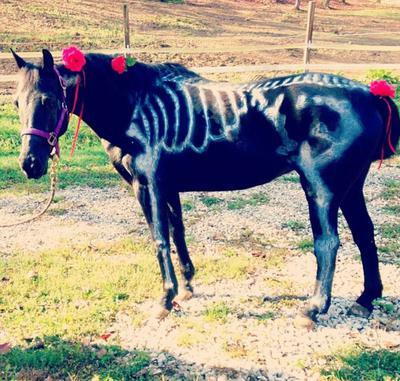 Return to Share Your Best Halloween Horse Costumes 2016.